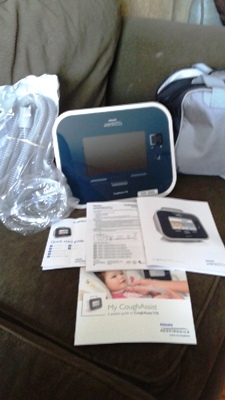 Philips respironics Cough Assist T70 used twice in perfect working and physical condition. I have the tubing, mask, complete manuals and carrier. It's not to big. Easy to use and carry. It's only about 5 lbs . It's 9 1/2" tall and 11 1/2" wide. Very effective and easy to transport. I'm asking $2,700.